Samsung introduced new additions to its Galaxy ecosystem comprising of Galaxy Tab S4, Galaxy Tab A10.5, and Galaxy Watch. The Samsung Galaxy Tab S4 is a multi-tasking assistant that is equipped with features which promote productivity on-the-go and deliver entertainment. With desktop experience (DeX) mode, it makes the interface more productive when connected to a POGO keyboard and mouse, supporting taskbar, multi-window capability, and drag and drop functionality. 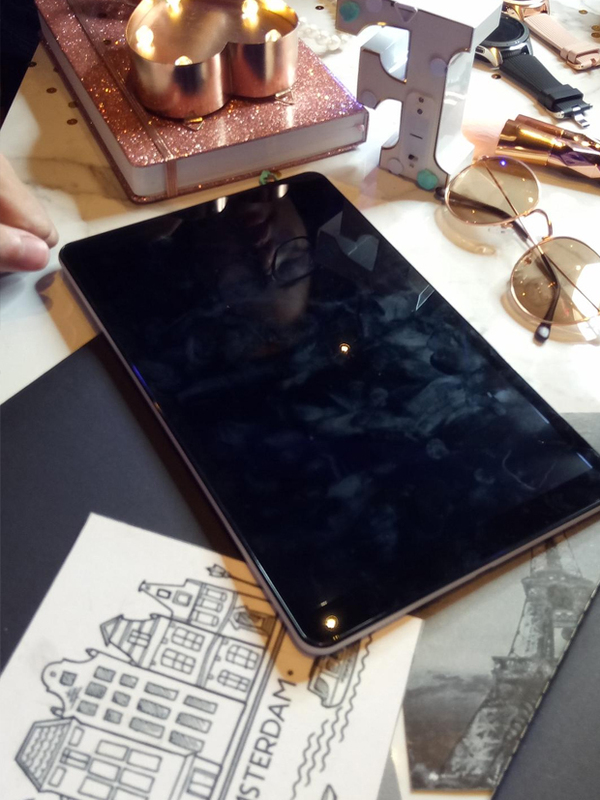 The tablet also comes with an S Pen which offers productivity tools to help unleash the creative side of the user, write down new ideas, create animated handwritten notes in conversations and even translate words and phrases. 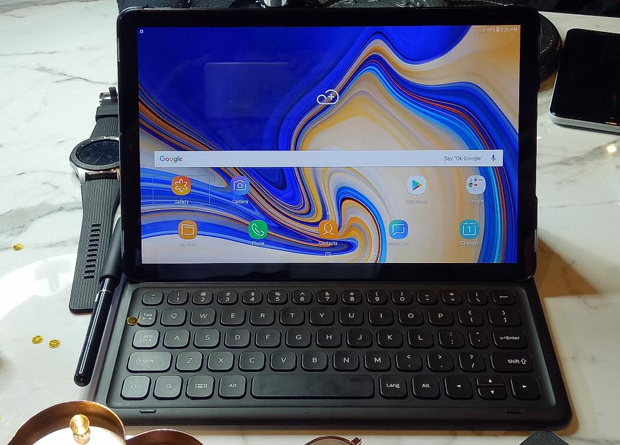 Besides, Galaxy Tab S4 can accommodate many documents and videos through its 64GB internal storage and additional memory of up to 400GB via the microSD card slot. The tablet sports a 10.5-inch Super AMOLED screen size for its viewing area and with speakers tuned by AKG and powered by Dolby Atmos. The device is energized with a 7,300mAh battery that can last up to 16 hours and goes back to full power in just 200 minutes of fast charging. In black and grey colors, the Galaxy Tab S4 is now available at all Samsung authorized stores nationwide at a retail price of Php44,990. Designed to keep families entertained while at home or on the go, the Samsung Galaxy Tab A 10.5 comes with a 10.5-inch display and a 16:10 screen-to-body ratio fit to watch movies, play games, listen to music or browse content. It also has speakers tuned by AKG that supports Dolby Atmos 3D Surround Sound. Since it is designed for the family, the tablet’s Multi User Mode can be used to create up to eight login accounts. There is also the Kids Mode which allows parents to limit children’s screen time. 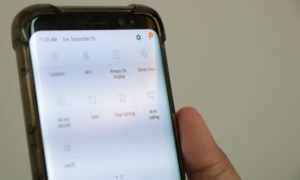 Through Samsung’s enhanced connectivity feature, Always On Daily Board, it keeps families updated all the time by providing information on time, date, and weather updates and a digital photo library as well. Galaxy Tab A 10.5 is equipped with a Full HD TFT LCD display and 32GB of internal storage that can support microSD card expansion of up to 400GB. It is powered by a 7,300mAh battery. To be available starting September 28 at all Samsung authorized stores nationwide, the grey-colored Galaxy Tab A 10.5 retails at 23,990. 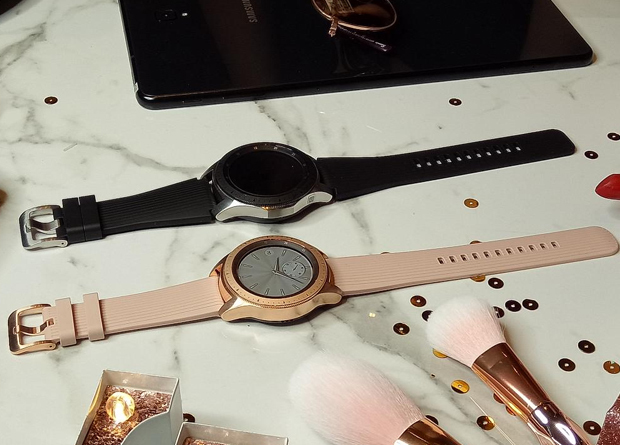 Aside from tablets, Samsung also launched the Samsung Galaxy Watch which provides wellness capabilities with its new stress and sleep monitoring functions, apart from informing users about the time, receiving calls, check messages, among others. Galaxy Watch has a stress management tracker which detects high levels of stress and a sleep tracker which monitors all levels of sleep, including REM cycles, allowing users to adjust their sleeping habits. It also offers 21 new indoor fitness exercises, and tracks a total of 39 workouts as well as providing calorie tracking and personalized alerts. The watch is available in two sizes and colors: the silver 46mm version and 42mm option in rose gold. 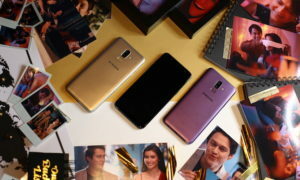 It features a Corning Gorilla Glass DX+ and water resistance with a 5 ATM rating, and has music and multimedia control with Spotify allowing users to listen to songs offline or without a smartphone with Spotify Offline mode. 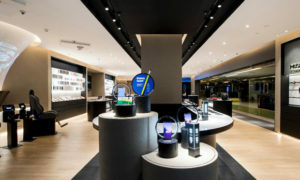 The Galaxy Watch will be available on September 14 at all Samsung authorized stores at a retail price of Php16,990 (for 46mm) and Php15,990 (for 42mm).